I was reading Chapter 5 of the third book in the Zulu Kings Trilogy, titled The Zulu Kings: At Bay, available for the Kindle from Amazon. While Penny Howcroft’s descriptions of the terrain were clear and evocative, I found myself without a visual reference. So I have produced two images, derived from Google Maps. What I did was I overlaid the historical maps, and identified the key positions and geographic markers. It wasn’t easy. The hand drawn maps were created before the space age, and did not benefit from any form of aerial reconnaissance. 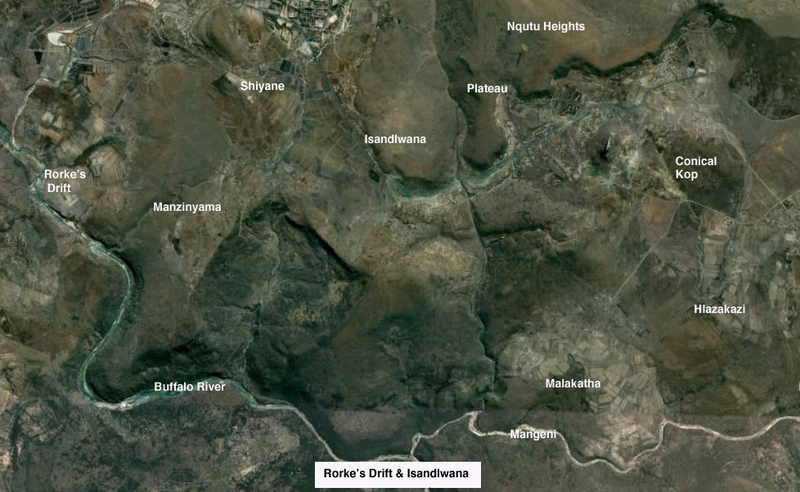 The main features mentioned in the descriptions of the Battle of Isandlwana and Rorke’s Drift. The satellite photo is modern, the labels are old. And in this next one, I have done the same thing. I have overlaid the hand drawn maps with an up to date satellite photo. 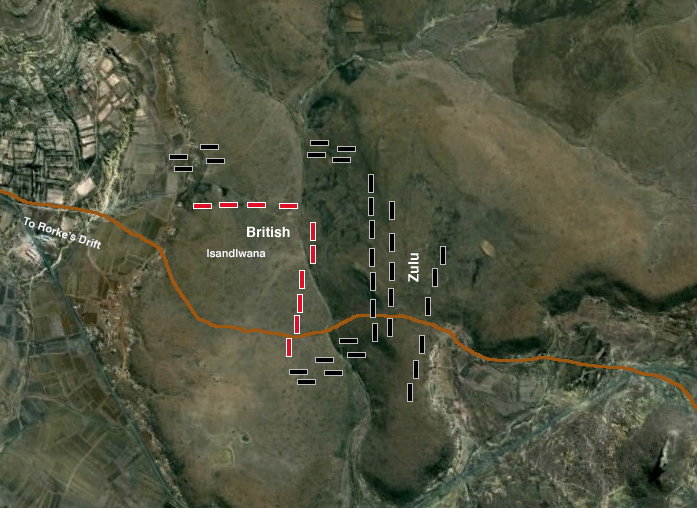 The steepness of the hills that the Zulus charged down is clearly shown. The British were accused of spreading their men too thinly, as can be seen in this image. The Zulu Horns and Body formation is clearly evident. This entry was posted in New Material and tagged british battles, Isandlwana, maps, military history, rorke's drift, south african history, zulu battle. The Ultimatum Tree: No Trace of British Fair-Play.